Nelsonspirit were invited to Norwich High School to talk to the sixth form about leadership, Norwich and the Future Leaders Fund. Nelsonspirit, inspired by leaders of the past, supports the leaders of today, and helps grow the leaders of tomorrow. Sir Robert Walpole - recognised as the first British Prime Minister. Sam Gurney - pioneer of modern banking and founder of Gurney's - later Barclays - Bank. Elizabeth Fry (née Gurney) - prison and social reformer. 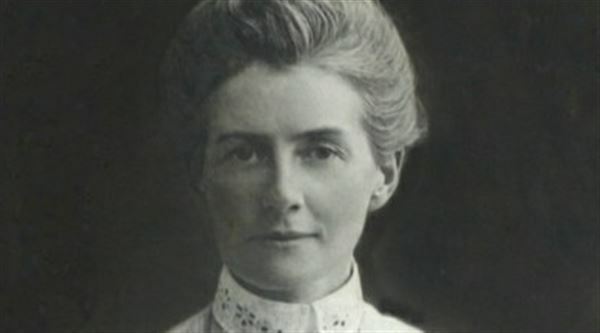 Edith Cavell - celebrated British nurse and former Norwich High School pupil who risked her life to allow allied troops to escape from German-occupied Belgium in the First World War. (Pictured). Lord Horatio Nelson - Vice Admiral of the British Navy at the Battle of Trafalgar and inspiration for nelsonspirit. The talk asked what kind of leader the sixth formers wanted to become, and introduced the Future Leaders Fund, our grant helping young people aged 17-24 to grow as leaders through helping others. Applications to the Fund are open all year round.